This episode is focused on the life experiences of retired Sergeant Clifford Stone. Within his testimonial, Stone discloses numerous experiences he had as a child, and even reveals how these childhood experiences would shape his professional and military career into adulthood. David Wilcock - I’m glad you could make it. I’m David Wilcock. And you are about to see a biographical sketch of Sergeant Clifford Stone, a man who joined the military around the time of the Vietnam War. He was really gung ho about getting into the service to try to serve his country. Little did he know the wild adventure that he was going to end up on involving UFO crash retrievals, and how this testimony now is being brought forward by us to help directly validate many of the things that Corey Goode has been revealing on our show, “Cosmic Disclosure.” So now you’re going to get to see an insider’s look at the incredible career of Sergeant Clifford Stone. Check it out. I knew the difference between imaginary friends and what I was seeing. But I figured, you know, grown-ups are never going to understand. So I went ahead, and everything went real good. Then one day, I found this little bird that had fallen out of its nest. And I grabbed the little bird. And I took it home, just like any other child. If you have a cut, you hold the cut underneath the faucet, and it washes the blood away. When the little bird fell out of the tree, it broke its beak. And to me—it was squeaking, but to me that was screaming. It was in pain. So I went ahead, put it underneath the faucet trying to stop the blood. And naturally I killed it. And my childish-like mind, it was like I murdered someone. I thought about the bird will never see its family again. The mom and dad’s going to be worried, never knowing what’s happening. The last place I hid was between the sink and the refrigerator. And I found—I can tell you. People don’t like this, but hey, the truth’s the truth—like three bony fingers and an opposable bony thumb scratching me on my head as though to say, “You can run and hide, but you can’t escape.” Then my aunt—my mom was in the hospital at that time. But my aunt, Aunt Lynn, she was taking care of us. And she made me sit in this chair because she thought I was being mean. And she thought I was out of control. So she made me sit in it, and I didn’t want to sit in the chair. As a child, that’s crazy. Everybody’s got a heart, right? But he could sense I can—I’ve always been this way. I care what happens to the other person, myself last. And a lot of times my family don’t like that because they think sometimes I put the family last too, which isn’t really the case. But they got to understand, I have to care what happens to other people. But he went ahead and he told me he’d follow me throughout life. Now at that point I had to make a decision. I could go ahead and fight it, and it would drive me crazy. Or I could accept it and learn from it. I finally chose the latter, at a very young age. But I didn’t choose the latter until I asked my mom and dad to take me to see a doctor, because the doctor could make the monsters go away. But once again, they chalked it up just being imaginary friends. Then I heard a voice in back of me saying, “Yeah, I’m interested in UFOs, too.” “You’re interested in UFOs?” I turn around, there was this person in the Air Force in a captain’s uniform. And he went over, got another copy, came on back over, says, “I’ll take two copies.” And he says, “So you’re interested in UFOs?” And I said, “Yes, sir.” And he says, “OK,” says, “Well, let’s talk a little.” Says, “Have you ever had a strawberry float? Do you like them?” And I said, “I don’t know. 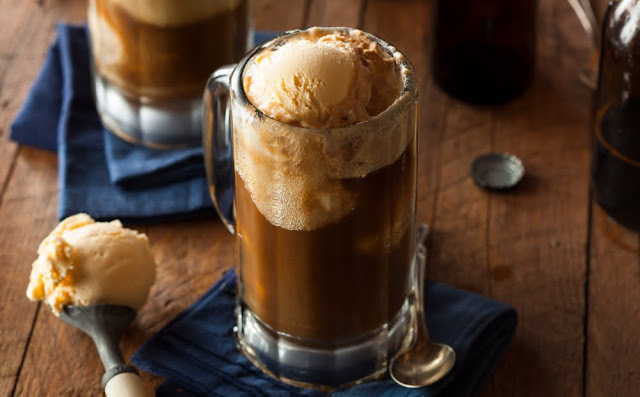 I’ve really never had one.” He says, “Well, we’ll get two, and if you don’t like it, you don’t have to drink it.” So we got two, not strawberry, but root beer floats. We got two root beer floats. We went, we sat down at the booth. When we sat down at the booth, he says, “Well tell me, what got you interested in UFOs?” And he was prodding me because now he’s bringing up things, and I wasn’t picking up on it, not with a child’s mind. He knew things that had happened in my life. He knew about the UFO I saw. And that was broad daylight. That was at 10 o’clock—approximately 10 o’clock in the morning. I went to get a friend of mine. His name is Michael Eubanks. And we were going to go play ball. I went to the backyard, which was out of the alley, into the backyard, knocked on his door, and started to call out for his name. All of a sudden, I heard this high-pitched whirling sound—and bright sunny day, no clouds. It was a clear blue sky. And I looked up, trying to see, because it seemed like the noise was coming from above. And there was these warehouses on the other side of the alley where his house was. Then all of a sudden, this white dish-shaped object came over the warehouses, flew over the open area between the warehouse and his house, and flew directly over his house. And I remember this day. The outer ring was going clockwise, the inner ring going counterclockwise. And to me, dare I say it was like an epiphany, because I saw something I thought I needed to share with the world. Prior to that time, I didn’t believe in UFOs. I didn’t believe in flying saucers. I just saw one. And I wanted the world to know that hey, these people [that] are talking about these things, they’re not crazy. They really exist. And I went and told my family. Of course my family rejected it. But here it was. Now I’m talking to a guy that’s a captain, that was listening to me, that was believing what I was saying. Now after we finished, he said, “I’m going to give you a copy of the book—the magazine. But first I have to talk to your parents and make sure it’s OK with them.” So we went back home, and he talked to my mom. And I don’t know what the conversation was because I wasn’t permitted to be there. When my dad got off work—and that was a little after 3:00 because he worked at the Detroit Steel Mill. He came home, and they talked to my dad. And then they went ahead and said OK, Captain Brown says, “Well, we’re friends now, so I’m going to be coming back to see him from time to time.” And apparently, my family agreed to this. And from that time on, every couple weeks or so, I’d run into Captain Brown. And Captain Brown would want to know if anything new has come up. And I kept him apprised of the situation. That went on until about March of 1968. Accordingly, in March of 1968, Captain Brown was killed in a crash of a T33 out of Laughlin Air Force Base. After that I went ahead, still had strange things going on from time to time, but they were taking more of a backseat. But by this time, I’m a firm believer. I know we’re not alone in the universe. Upon hearing Stone's account of these experiences from his childhood, a few thoughts come to mind. The first is that the beings who visited him seemed to be unfamiliar with certain flavors of human emotion. As we may remember from past testimonies, the human race has a uniqueness when it comes to the variety of emotions we are capable of feeling. 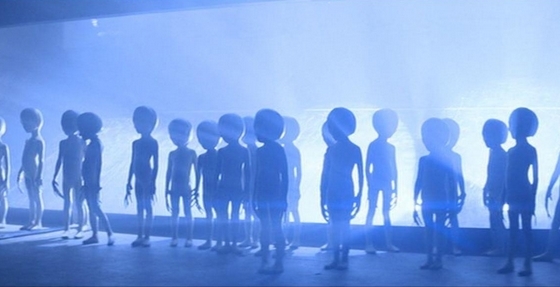 There are seemingly innumerable types of intelligent life throughout the cosmos. Many of these species are said to be highly evolved, while others are slowly progressing toward higher stages of evolution. Among these species, emotion is reportedly viewed in different ways. Some see emotion as a helpful tool of creation. Others see it as a potential for extreme hazard, and a major reason for the violent tendencies in human behavior. It seems that these emotions combined with our lack of knowledge on how to positively benefit from these emotions is a reason why some species choose to avoid us. From Clifford Stone's account, it sounds as though the beings which visited him did not share in the entire emotional variety as Earth humans do. The description of the situation with the bird showed that these beings did not seem to understand remorse, guilt, sadness, or regret. At the same time, it seemed that they didn't understand fear either because there was no hesitation in appearing in a form which young Clifford would not have been used to seeing. This story seems to depict the regular visitation of beings which were more limited in emotion variety. This may have either been because they were vibrationally higher than 3rd density and naturally experienced less. However, this would not account for the fact that they felt they resisted the experience of these emotions. To add, they seemed to lack sensitivity and value for life. This may indicate that these beings were not much higher than 4th density, as they still seemed to hold some self-serving view-points which caused them to act at the expense of others. Accounts such as Stone's seem to be unique in their own way. Though we hear of various contact and even abduction experiences, it has not been the most common occurrence to hear of a species which visibly observes a young child for an extended period throughout their life. Though this experience did not seem anywhere near as fearful and painful as my own were which involved the typical Greys. These specific types of Grey are said to be emotionless, manufactured, cybernetic beings that were engineered by the CIA with the technology of other species. These cybernetic beings are also said to be working with governmental powers that originally exchanged human beings for technology. (Though I am unsure as to exactly where the original technology was obtained. 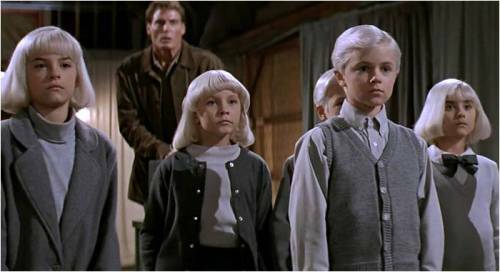 Some report that a group of Reptilians are among those influencing at least one of these experimentation programs involving the Grey cyborgs.) The details which Stone gives seem reminiscent of the lack of empathy which these Grey-cyborgs emulate. Though I cannot say for sure which species Stone was actually interacting with. Perhaps the beings which spent this time with Clifford Stone were interested in attempting to understand humanity in a way they hadn't previously. Maybe they were attempting to regain an aspect of their own species which may have been lost. (They certainly seem to be more respectful of human beings than the militarized cyborg entities which many abductees report seeing.) Whatever their motives were, they seemed to have at least some respect for life. Otherwise, the encounters may have been much different than we have heard. 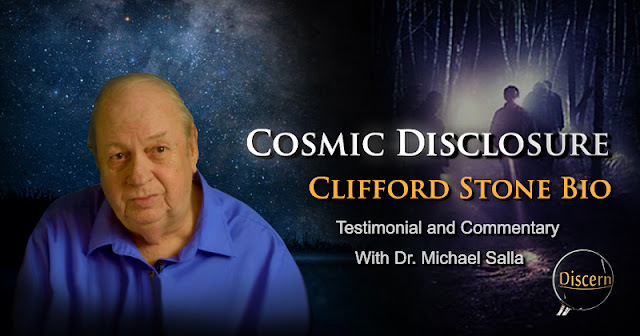 Along with each of these testimonies, it is always a good practice to hear an evaluation from a third party, particularly one who is experienced with such experiences as those of Clifford Stone. Dr. Michael Salla actually shares a background with Stone, as both of them worked on the Disclosure Project hearings during the late 1990's and early 2000's. Dr. Salla has heard numerous account, which vary in subject and implication, and considering the field of documented accounts with E.T. 's there are few others with such experience. For these reason, I find it very helpful to consult Salla's expert evaluation and analysis of the account of Clifford Stone. In my interview Sgt Stone comes across as very meticulous in his statements, very clear about the information he is revealing, and refuses to speculate on subjects he did not directly experience. The information he provided in the interview was very consistent with earlier interviews conducted by other investigators such as Paola Harris one of which is available online at: http://www.swa-home.de/clifford.htm. Furthermore, Sgt Stone had no desire to gain financial profit for his evidence or appeared in any way to be a publicity seeker. He came across as an individual of great integrity desiring to let the American public learn the truth about UFOs and the ETH. 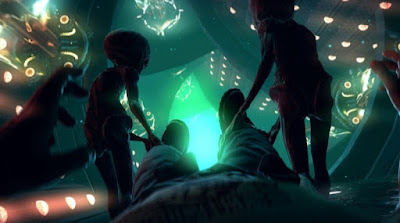 My overall conclusion is that Stone is very credible due to the meticulous nature of his testimony, the consistency in his story, his obvious integrity, and because of the documents he has been able to provide demonstrating the existence of elite UFO crash retrieval teams under the classified Moon Dust and BlueFly projects. In terms of a range of 'soft' and 'hard' criteria to analyze the veracity of whistleblower testimony, Sgt Stone ranks very highly both because of his personal integrity and the documents he was able to provide in support of his testimony. The documentary evidence Stone provided of classified projects he allegedly served on, also supports perhaps the most controversial aspect of his testimony that his own military records were altered so as to not reflect his actual training and duties. The most remarkable aspect of my July 20 interview is the information Sgt Stone claimed existed in the EBE Guidebook. This has very important exopolitical significance that I wish to now elaborate upon. The alleged EBE Guidebook describes the physiological characteristics of 57 types of EBEs. This suggests extensive knowledge was likely gained through a number of sources: UFO crash retrievals; EBE visitations; and/or cooperation with some EBEs who were aware of other EBEs visiting the Earth. The compilation of such a guidebook suggests a very well coordinated and funded research program exists in the classified projects involving EBEs and ETVs. Such a detailed study gives support to the existence of an Interplanetary Phenomenon Unit that was allegedly created in 1942 to study the UFO phenomenon. 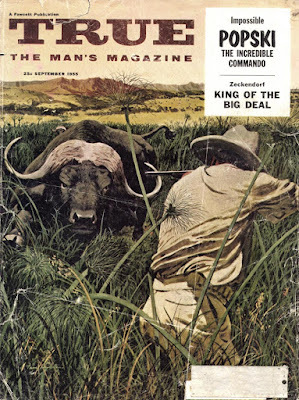 The Majestic Documents website includes references and reports by such a unit on EBEs and UFOs which are available at: http://www.majesticdocuments.com/documents/pre1948.php . 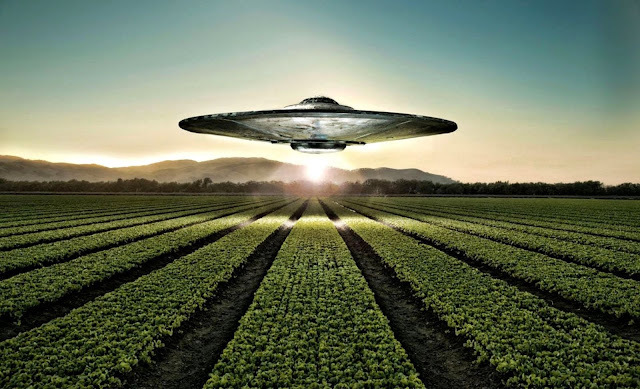 The implications of the existence of an 'EBE Guidebook' is startling since it suggests that the covert government agencies and military departments dealing with UFOs have long since resolved the truth of the extraterrestrial hypothesis (ETH). The ETH has been demonstrated to be very real, and covert military departments and government agencies have progressed far in cataloguing and analyzing different EBEs. It is also likely that such agencies have developed a very sophisticated analysis of the motivations and activities of EBEs that go far beyond any analysis available in the public arena (see http://www.exopolitics.org/Report-ET-Motivations.htm ). In terms of a coordinated national security response by the U.S. authorities, it is very likely that a very detailed strategic analysis of many EBE groups in terms of their motivations, technologies and strategic capacities has already been conducted. The strategic response is likely to be based on a multiple actor analysis of geo-politics and the involvement of different EBE groups with multiple agendas and capacities. This geo-political analysis is therefore very likely to lead to a 'balance of power' analysis of the multiple EBE groups and how various nation states may achieve their strategic goals in response to visiting EBE groups. My own earlier analysis of a hypothetical power politics approach to dealing with EBEs and the ETH is therefore more likely have merit due to the extensive number of EBE groups known to be interacting with humanity (see http://exopolitics.org/Study-Paper-7.htm ). I can appreciate Dr. Salla's analytic approach to these testimonies, as specially given their extraordinary nature, their unconventional proposals, and corresponding implications. This gives a good example of the response we as citizens may want emulate in order to progress to an era of peaceful relations with our off-planet relatives. The subject of off-planet life is becoming one of the mainstream conversations. No longer is it considered scientific to blindly deny the likelihood that intelligent life exists outside of our own biosphere, or our own solar system. (Though in my view, this blind denial was never a scientific stance to begin with.) It has become clear that the mainstream has in mind to produce some type of E.T. disclosure at some point in the near future. As far as to the nature of this disclosure, and the extent to which the media is willing to go, these remain the collective decision of we as the citizens of this world. It is we who will guide the process of our own cosmic initiation. The testimonies of Clifford Stone have been an interest of mine for some time now. They present a perspective of the UFO phenomenon which is unique among the numerous others which are presently circulating the web. We hear countless stories and see even greater numbers of images. However, I have found most of the material, at least that which is presented on UFOlogy sites to be fairly unreliable when it comes to supporting evidence. In contrast, the documented evidence which Stone presents stands out among the questionable and inconsistent stories as provable, and even verifiable in a court of law. The quality of materials amassed during the time of the Disclosure Project set a new standard for responsible research. They took on the burden of proof on a subject matter which no one had dared address beforehand, and in so doing, they set the bar higher than it had ever been—succeeding at convincing much of the world that not only are we not alone in the universe, but that there are powers behind the scenes preventing us from knowing this fact. However, thanks to the efforts of Clifford Stone, of Dr. Salla, and of the numerous whistleblowers who have come forward, this is now changing. It is said that disclosure could happen any day now. There have been so many developments to this end and so many signs of progress which tell us that those who were formerly hiding the truth are now visibly losing their edge. The power of these cabal criminals has all but completely vanished, and the only thing they have left is a few media companies that are barely keeping the public's attention. Our positive breakthrough to the truth is almost at hand, and the only thing left is for each of us to see the evidence that points to the fact. We also have in our hands the power to ensure that this truth is revealed for all of the world to see, and thanks to the brave testimonies of those such as Clifford Stone, we have a foundation to build upon, and to push for positive change. This is a remarkable narrative. It's difficult to imagine that the MSM will ever try to cover a "disclosure" unless it is associated with some sort of large-scale public demonstration of the truth of the ETH. Is such a demonstration feasible? And if so, how will it unfold? Who will direct it? So many questions, and the answers seem as far away as the original Disclosure Project hearings in the late 1990s.